Subscription based pricing, based on bandwidth per location. No min contract. Platform is delivery model is a hybrid model. The product can be ordered as a physical probe or is available as a virtual probe. The product is available in different sizes depending on the bandwidth requirements and the size of the organization. Vendor works with network managers, IT Managers and CIOs for midsize and larger organizations with multiple locations, sites or offices. 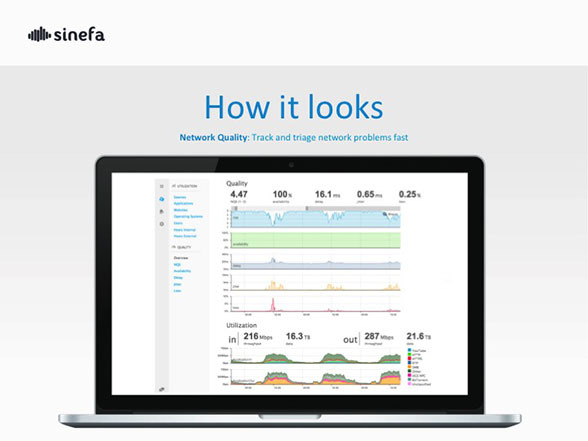 Sinefa is IT management software that helps all companies with network performance issues or slow networks by providing instant network traffic visibility, monitoring and control. The platform allows network managers to see all the applications, users, devices, and links on the network, and to redirect bandwidth to critical applications (O365, Amazon AWS, Azure, cloud apps, VoIP). The software is cloud based and it allows users to monitor data networks at any time and from anywhere in the world. The platform is very esay to use and scalable across the WAN to thousand of customers, devices and locations with a single deployment. 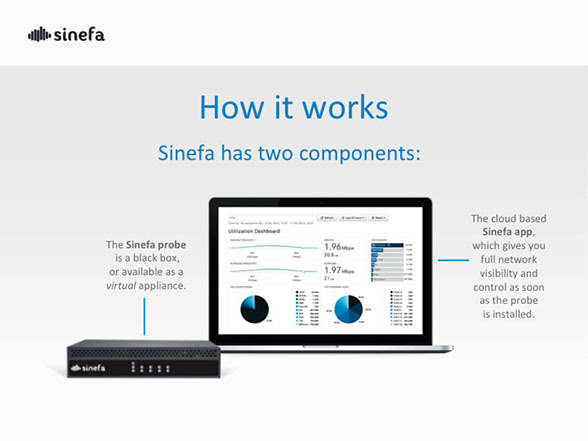 Sinefa is a Melbourne, Australia based software company founded in 2011 that is helping to transform the performance of data networks across the world. The company provides visibility and control for networks. It allows network managers to see all the applications, users, devices, and links on the network, and to redirect bandwidth to critical applications. 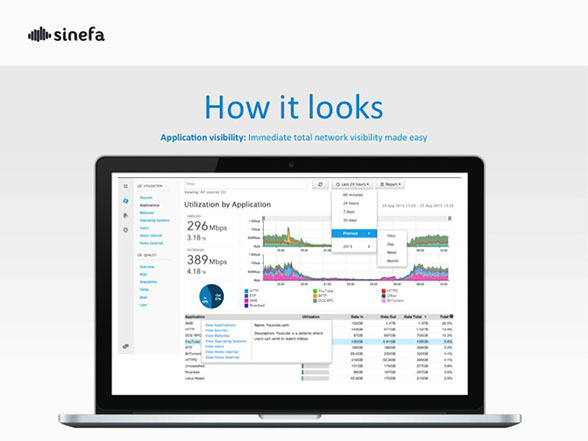 Increased network performance boosts productivity, eases user frustration and reduces costs.